It’s a no-brainer that customers want to buy from a brand that they feel strongly connected to, and that they feel engaged with. But what does customer engagement look like these days? In the modern world, interactivity is the key to success. For a lot of modern customers, no experience can be truly authentic if it isn’t an interactive one. Almost three-quarters of consumers view brands which use VR as forward-thinking, so it makes sense to count your own among their number if you’re serious about attracting customer attention. The good news is that Virtual Reality today is within easy reach of everyone. It’s no longer a challenge to have a VR marketing strategy, so let’s take a look at how you go about it. There are four key VR experience types. You need to choose the right one for your target audience. Live video – if you take a VR live-action video, you’ll be allowing the viewer to watch from the videographer’s POV. Live photo – taking a live action photograph lets the viewer pan through a full 360 degrees to make them feel like they’re really there. 3D video – creating a 3D demonstration of one of the services you offer. 3D model – Making a 3D model of one of your product offerings. This lets viewers examine the item from every angle. Continuing your current strategy while also incorporating virtual reality is the best way to tap into both new and existing audiences. If you’re already using Facebook video, produce VR content with Facebook Spaces. Consider adding VR content that can be used with your business’ app. Whatever you do, make sure that your VR content is all about the experience the user gets to enjoy. It needs to not only be immersive but also an close-up view of your products. Store walk-throughs and augmented reality product images are just some ways in which you can tap into the marketing potential of the latest technology. Consumers are more likely to engage with an emotional experience. Consider your audience’s passions and make VR content which stimulates them. VR is very immersive and can transport the viewer to different times and places. This allows you to immerse a virtual audience in a completely different space. Virtual tours and up-close experiences of events is a great way to bring consumers into your business’ world. 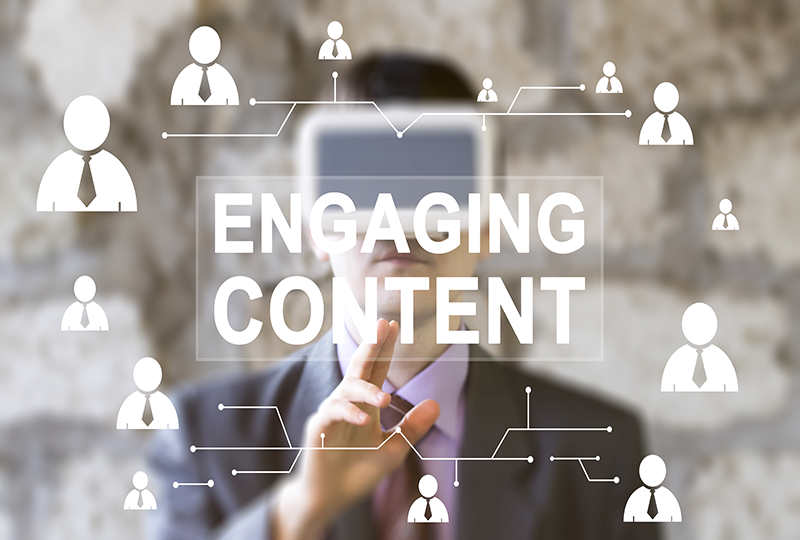 One underrated way of harnessing the power of content marketing is to cultivate a user community and then use their contributed content to your advantage. YouTube, Periscope and Facebook Spaces are all easy ways to integrate VR videos produced by users into your web content. While overhauling your complete content strategy in order to shoehorn VR in isn’t the right course of action for most businesses, it’s high time to acknowledge that virtual reality exists and can be extremely influential. It’s time to start experimenting and gauging the user response. Begin with one or two pages and posts then build up from there.